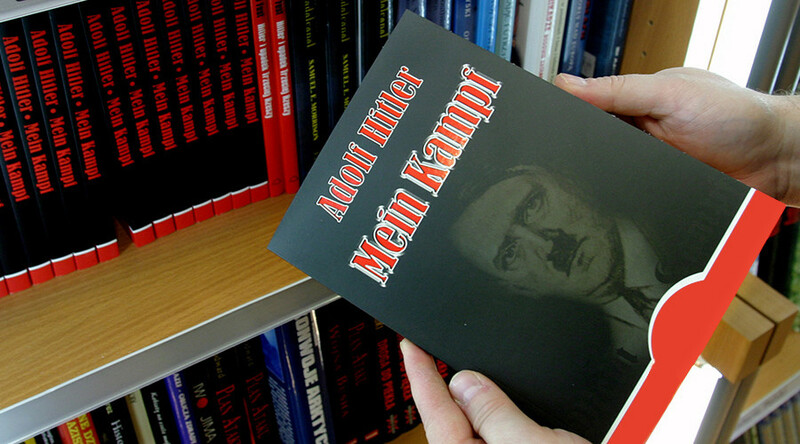 The book called "Hitler, Mein Kampf: A Critical Edition" will be published by Munich-based Institute for Contemporary History (IFZ) and the print run has been limited to between 3,500 and 4,000 copies, media reports. The new edition will also include some 3,500 annotations, in addition to Hitler’s original text. Andreas Wirsching, director of the Institute for Contemporary History, says the book will go on sale in bookshops between January 8 and 11 and be sold at a price of 59 euros per copy, with no availability online. Wirsching, who has chaired the republishing project since 2009, says the new Mein Kampf edition aims to scholarly contest some “irresponsible” and uncritical versions widely available in second-hand bookshops around the world. In a statement, the IFZ insists that the publication new edition is being handled responsibly. 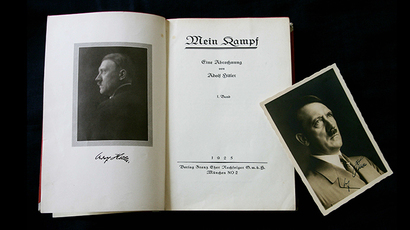 “Making annotations to ‘Mein Kampf’ is not only a scientific task,” the IFZ said in a statement. “There is no single book surrounded by so many myths and received with so much disgust and fear. [The book] attracts [people] due to curiosity and speculation, accompanied by an aura of secrecy and prohibition, a taboo that serves itself.” The only purpose behind republishing the Mein Kampf is to end the “distribution of Hitler’s propaganda, his lies, half-truths and hate rants,” the statement says. Nevertheless, many in Germany believe the book that outlined strategies for establishing the Nazi regime and genocidal practices to exterminate whole peoples must not have any space in modern times. “This book is too dangerous for the general public,” Florian Sepp, a historian at the Bavarian State Library, which keeps original copies of “Mein Kampf,” told the Daily Express. Recent poll released by YouGov suggests two out of five Germans are concerned that reprinting “Mein Kampf” could facilitate the rise of the far-right in the country.